Misti Wyno, 40-years old, was attacked and killed by a pit bull in Valdosta, GA.
UPDATE 12/09/11: WCTV reports that Misti and the neighbors who owned the pit bull were "close." Bobbie Joe Courson owns the pit bull that killed Misti, along with three other pit bulls. James Sharp, whose 5-year old son was bitten by one of Courson's pit bulls in September, said: "I've even told the district attorneys and everybody at the aggressive dog hearing, if these dogs get out somebody was going to get killed." That pit bull was later released back to Courson. Valdosta, GA - In a developing story, a Lowndes County woman died this afternoon after being savagely attacked by a pit bull. Misti Wyno, 40-years old, was reportedly attacked as she walked to her neighbor's house to get some grits. A nearby male chained pit bull broke its chain and attacked. According to authorities, the dog repeatedly tore into the woman's legs and arms. The victim died about an hour later due to her injuries. Wyno's body is being sent for an autopsy. Neighbor Jimmy Watkins told WALB, "I called animal control three times about this black dog, supposedly the one that attacked the lady, and they've been out here numerous times over the last three, four years about these pit bull dogs. There's three houses in a row, three of them have pit bull dogs." WALB knocked on the door at the property where the attack occurred, but no one answered. The sheriff's office did not return phone calls to WALB about the dog's owners. View the DogsBite.org Google Map: Georgia Fatal Pit Bull Maulings. 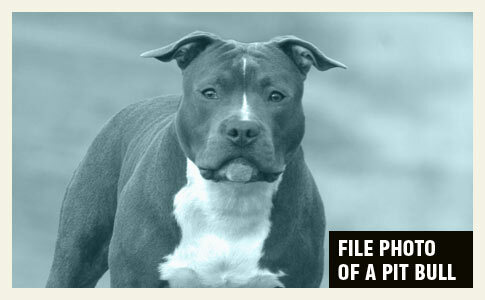 Three pit bull mauling deaths in less than 48 hours after the Ohio Senate held a hearing on removing the insurance requirements for pit bull dogs. Look out Ohio! 20th Georgian killed by a Pit Bull since 1980. RIP. This is horrible. I am so sick of people defending these dogs. So needless and so unnecessary! In the most recent story from wctv.tv in Valdosta comments are being made that the owner of the attacking Pit Bull may be a relative of the victim -"they once had the same last names" one person said. Interesting Twist. The point being: THAT DOG HAD TO HAVE KNOWN THAT WOMAN !!!!! These "owners" were breeders…just what we needed, another litter of mankillers! We are rapidly approaching 250 Americans killed by Pit Bulls and Rottweilers since the laughable CDC report was perverted by the dog lobby. Julie Gilchrist of the CDC needs to be infront Congress justifying why her department deserves continued funding.